Nearly three years ago, I was in the process of filing my paperwork to join the Mexican mission to the United Nations in New York City. A call from Dr. Roberto Dondisch led to an invitation to join the Consulate of Mexico in Seattle, instead. The team’s mission is to explain the importance of Mexico and the Mexican community in the Pacific Northwest through arts, culture, business and people-to-people relationships. My mind went into overdrive. My Washington state references were terribly outdated and simplistic: The Mariners played in the Kingdome in my ’90s-era Ken Griffey Jr. video game. I drank Starbucks coffee. I learned how to play Nirvana songs during my guitar lessons. And I had visited a rainy Pike Place Market on a very long layover. That was pretty much it. I took a leap of faith and accepted the offer. Friends and family were appalled: Why on Earth would I choose overcast Seattle over the diplomatic glamour of the U.N. and NYC? Looking back, it’s one of the best decisions I ever made. Seattle remains one of the best-kept diplomatic secrets. True, it’s ridiculously expensive, but it’s ripe with opportunity. No. 1: My outdated references of Washington state were reciprocal. Like the United States, Mexico is a big and complex country with many simultaneous realities. It’s much more than a beach holiday destination or the “southern border.” Mexico is home to nearly 130 million people. It has a rich culture, world-class talent, innovation and business opportunities, just to mention a few of its attributes. It’s impossible to reduce the complex relationship between Mexico and the U.S. to 280 characters and a shouting match. No. 2: Washington state is hugely important to the world. This has been normalized — in Washington state. I invite Washingtonians to take a long look at the mirror and remember that it’s far from typical to be the home of huge tech companies, world-changing charitable foundations, agricultural powerhouses, gateways to the Pacific Ocean and have many symbols of U.S. culture — all in a relatively small piece of land. Washington state has many things to offer to the world. It wouldn’t hurt to strengthen its narrative. No. 3. The Mexican and Mexican-American communities in Washington state are underappreciated. 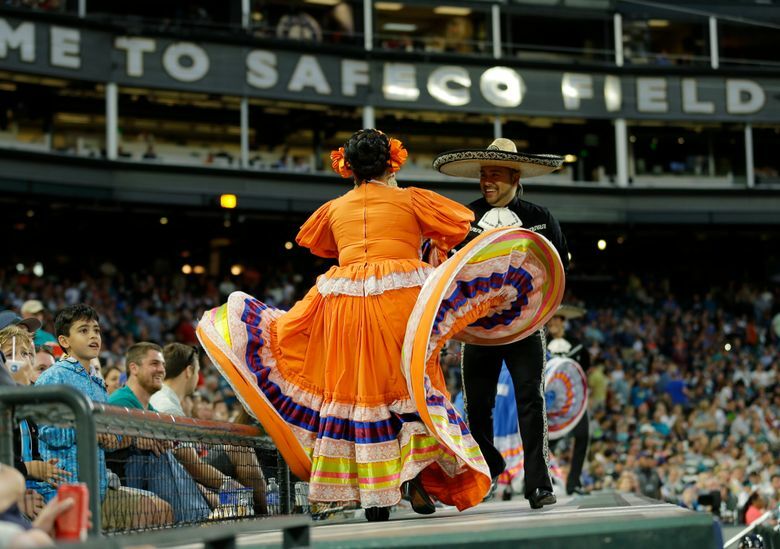 Contemporary Washington state cannot be understood without its Mexican heritage. Yet, there is remarkably little written about this. Many times, it comes from a monolithic analytical reduction. It never stopped surprising me the bewildered looks I received when I mentioned that Hispanics ― and naturally, mostly Mexicans ― make up the largest minority in Washington, equal to 12.7 percent of the state population or more than 800,000 people, according to U.S. Census figures. Yet, they remain strangely absent from many decision-making spaces. I’ve been lucky to meet many amazing up-and-coming people who will shake the system in the future. No. 4: It’s far from sugar and spice. Washington state is consistently a blue dot in the U.S. political map, nationally associated with liberal policies. In real life, Mexican and Mexican-Americans in Washington face many struggles: hateful rhetoric, discrimination by nationality or skin color, or fear from local authorities are still commonplace. However, I am optimistic as more Washington companies and key local stakeholders are increasingly more outspoken in defending the Mexican community. Well, Seattle, if Viadoom was my cue, then it’s time to bid farewell. This is a reminder to all of those who posed this question ― way more often than expected: No, I was never a spy. I would’ve been a lousy one. Luis Mingo Nyssen is a Mexican internationalist and diplomat. He headed the political and economic affairs department at the Consulate of Mexico in Seattle from 2016-2019.